The King's Speech Stills. . Wallpaper and background images in the The King's Speech club tagged: the king's speech stills movie queen. 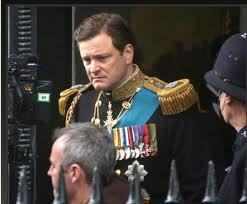 This The King's Speech photo might contain voller uniform, vollkleid uniform, volles kleid uniform, green beret, besondere kräfte, elitesoldaten, grüne barett, spezialeinheiten, elite soldat, and elite-soldat.